Schmidt shares news about their new hydro-pneumatic repair service in their latest newsletter. We have exciting news to share! Limit downtime with our new and improved Hydro-Pneumatic Press Repair. After many years of dependable operation, even a SCHMIDT Hydro-Pneumatic Press might require new seals. This procedure can be carried out in the shortest period of time, so you will be up and running production again rapidly. After the repair, your SCHMIDT Hydro-Pneumatic Press will continue to serve you precisely and dependably as you would expect from a SCHMIDT press for many years to come. Contact us at 800.959.1218, or email [email protected] to learn more. This entry was posted in Manufacturing, Schmidt Presses and tagged Manufacturing, Schmidt Presses on October 11, 2018 by Prodcomp1. According to the U.S. Department of Commerce, there are more than 6,500 medical device companies in the U.S. with a total market size of $148 billion. The most active sub-category in the industry is surgical and examination instruments (based on value of export shipments), which includes products ranging from scalpels to intricate catheters. Combined with strict regulations and proposed new rules (Unique Device Identification system) by the U.S. Food and Drug Administration and the European Union, the opportunities are enormous for Telesis. Telesis is well positioned to offer a wide variety of reliable and innovative solutions to often difficult and challenging marking tasks. Many medical devices, especially those found in a surgical environment, are made of stainless steel. 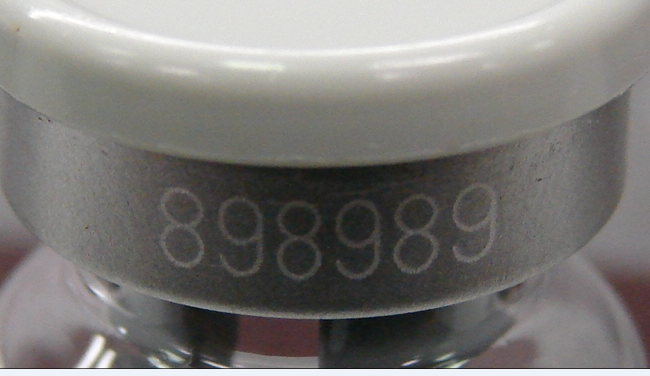 Our EVC and Fiber Lasers are ideal for marking on stainless. For maximum flexibility and robustness, our FQ Series (now known as FQDS indicating Dual Sensor for the shutter mechanism, a key advancement in laser safety) is the preferred choice and available in many different wattages. The FQ fiber laser series is a versatile product robust enough for heavy industrial etching and delicate enough for annealed marks. Typical for medical applications are annealed marks which does no damage to the surface or the material and maintains the corrosion resistant nature of the medical instruments. This form of non-invasive processing is crucial in the prevention of bacterial accumulation. 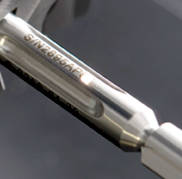 Whether it’s banded titanium needles or high-grade stainless steel scalpels, this laser can mark them with precision, consistency and reliability. Our Vari-Z technology allows for 3D and 3 Axis control of the beam to maintain perfect resolution and consistency over curved surfaces without mechanical rotation. Referencing the photos below, we see an annealed mark of a serial number, an annealed mark with precision measurement graduations, and a light etching of a serial number on curved surface with virtually no inconsistencies in text shape or quality despite a variation in surface Z plane. While stainless Steel is a common material in surgical instruments, we also find a products with plastic molded details. 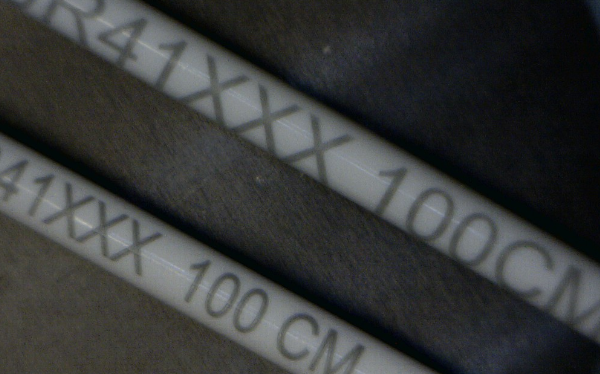 Plastics can be difficult to mark and while fiber lasers have some capabilities for marking plastic, traditionally, CO2 lasers have been used to create “melt marks” in different plastics. Of ocurse, this does change the surface quality of the material, which can lead to less effective sterilization, as well as limiting contrast and thus readability. Another challenging material group would be Silicone and PVC. And while traditional lasers create a mark through heat imparted on the material, in some cases a “cold mark” may be preferred. 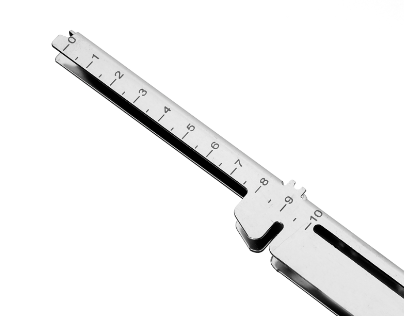 In addition, when marking a part with graduated measuring positions, spot size resolution and control is paramount to a quality product. The Telesis UVC laser, with the combination of short wavelength (355nm) and excellent M2 value, produces a small spot size, which makes it an ideal choice for creating delicate marks on sensitive materials. 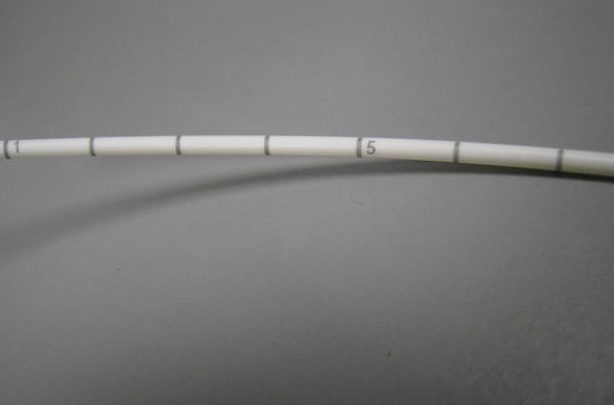 For example, the UV laser reacts well with silicone or PVC to create fine graduated markings that denote depth of insertion on the catheter tubes below. Since the laser beam only creates color change on the surface, the material is not damaged and is free from bacteria contamination. Thus, this laser allows a safe and reliable process for medical device manufacturers. The photo on the left depicts very small characters (2.5 X 1.5 mm) and were marked in 1.4 seconds; the graduations on the left were marking is 2.1 seconds. UDI offers benefits on identification, traceability, reduction of errors, prevention of counterfeits, management of recalls, and more. UDI is a system that includes a unique device identifier in human- and machine readable- form. Proposed UDI regulations between the FDA and the EU are very similar as they wish to bring uniformity and consistency to global manufacturers, users and other partners. The system will be phased in over several years. 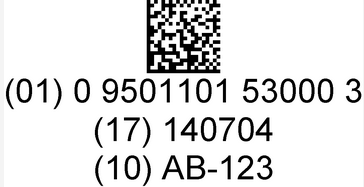 Telesis lasers markers can apply GS1 compliant standard and 2D barcodes. See below for a typical example. 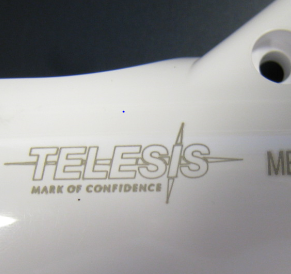 Telesis offers a diverse lineup of marking systems to satisfy UDI marking requirements on a wide variety of materials. Customers can count on our years of experience to provide dependable and complete marking solutions. This entry was posted in Marking, Medical Devices, Telesis on September 19, 2018 by Prodcomp1. Having added another premier manufacturer, R&I Manufacturing, to our line, we are pleased to announce we now have grippers available for sale on our website. R&I Manufacturing sells the very best in angular and parallel grippers, as well as air shuttles, slides and escapement devices, to name a few. See their catalog at http://www.rimfg.com/catalog.htm, then enter the part number in the search box in the top right corner of our home page at www.production-components.com. 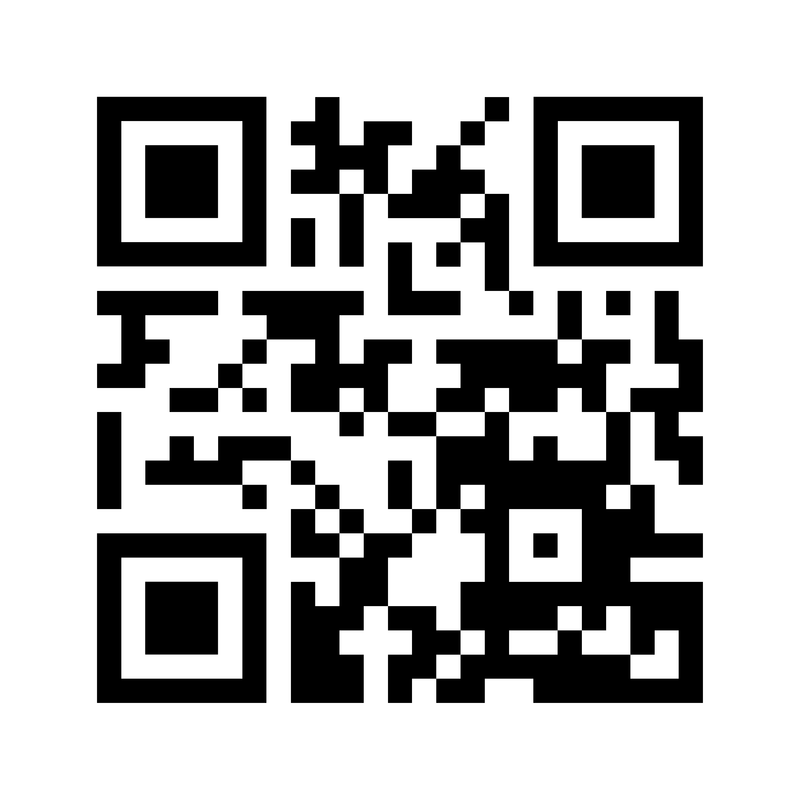 Or you call us at 203 881 3013, or email us at [email protected]. This entry was posted in Engineering, Manufacturing, R&I Manufacturing and tagged grippers, Manufacturing, R&I Manufacturing on August 22, 2018 by Prodcomp1. 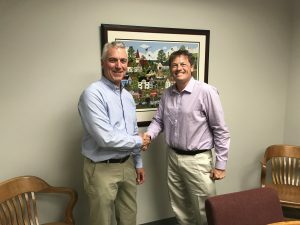 July 2, 2018, Wallingford, CT – It is with great pleasure that we announce that Production Components Inc of Wallingford, CT and Jack Breen Associates of Clinton, CT have merged and are now in a position to serve our common customer base and principals even better. Both companies have a rich history in representing premier product lines dedicated to assembly, part marking, test and automation processes. The newly merged company will operate as Production Components, Inc., and will be headquartered in Wallingford, CT, with satellite offices in New Hampshire and Rhode Island. Jack Breen, owner of Jack Breen Associates, will continue to support his existing New England customer base. In addition to the merging of principals, the expanded company will be providing coverage for several key principals in the Eastern PA, Metro NY, NJ, MD, and DE areas. “Jack and I have crossed paths many times over the past 30 years, but more recently we realized that our current product lines were more complimentary and synergistic than they were competitive”, says Scott White, President of Production Components. He continued, “It became clear that there would be numerous benefits to our principals, our customers, and our respective teams, by joining forces”. The expanded company will include 5 field sales reps, as well as inside sales and marketing. Both Jack and Scott will continue to call on their long-time customer base. “We discovered very quickly that we had a lot of commonality in our customer lists”, says Breen. “And we knew many of the same key customers within each other’s database, further reinforcing that the merger would ultimately serve our customers and principals well”. The response from their respective principals has been overwhelmingly positive, with an added energy and excitement in anticipation of the future. “The support of our key principals was very important to a successful transition”, says White. “In fact, my largest principal – Telesis Marking Technology – had some great insight and suggestions based on their previous experience with other agency successions”, added Breen. Additional guidance from MANA, whose resources included guidelines for transitions, mergers, and other manufacturer’s rep specific concerns, made the drafting of an agreement easy and protective of both parties. This entry was posted in Uncategorized on July 26, 2018 by Prodcomp1. on May 9th at 1PM. See the details below or sign up here. Are you are looking for a robust plastic welding process that delivers particulate free and cosmetically appealing welds? 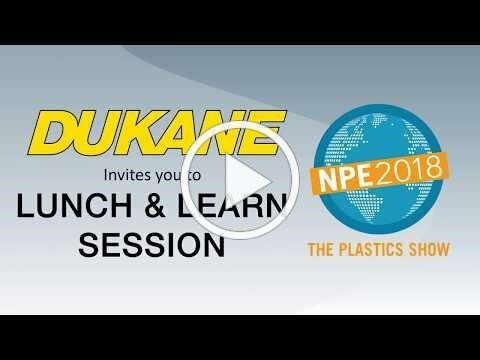 NPE 2018 Expert Super Session. Where: W203A, West Building, Orange County Convention Center, Orlando, Florida. Join us to learn about the benefits of incorporating these technologies in your welding process & enjoy complimentary lunch. 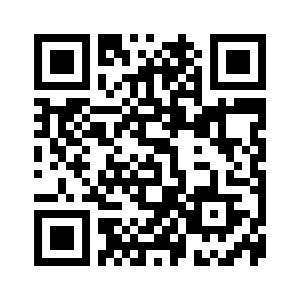 Click on the button below to register!!! This entry was posted in Uncategorized on April 12, 2018 by Prodcomp1.